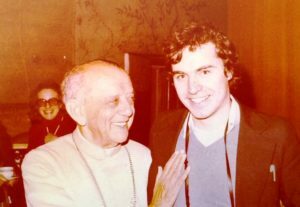 In 1983-84 Don Mullan spent six months in the diocese of Recife and Olinda in Brazil’s north-east, then under the leadership of Dom Helder Camara, a world figure renowned for advocating social justice and change through non-violence. Mullan had been deeply influenced by two books written by Camara: The Desert is Fertile (1976) and Spiral of Violence (1971). These small volumes deeply influenced his work with AFrI and remain sources of inspiration to this day. While in Brazil Mullan learned of an area north of Recife known as the Seca region where drought had raged for over a decade, causing famine and mass migration. Working with his AFrI colleagues, and Irish missionaries in the region, he helped organize relief to the area. 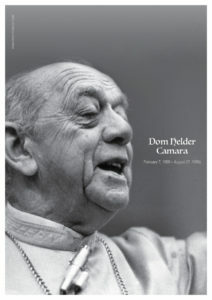 In December 2016 Mullan returned to the diocese of Recife and Olinda to testify before an Ecclesial Commission investigating the sanctity of Dom Helder Camara. “Become an expert in the art of discovering the good in every person. No one is entirely bad. Become an expert in finding the truthful core in views of every kind.